Mobile Phone Tips and Tricks: How do you manually call someone with a Samsung Galaxy S2? How do you manually call someone with a Samsung Galaxy S2? 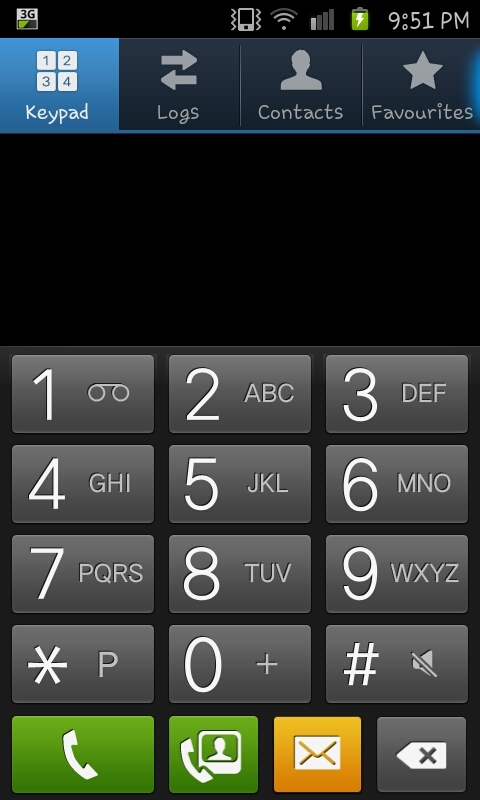 Sadly with being a bit "technically advanced" I've sort of ignored the simple things with this website so far so now we'll take a look at one of the most simple things we could possibly want to do with the Samsung Galaxy S2, making calls. Of course despite the Android operating system, the Super AMOLED Plus screen and it's ravenous dual core processor the Samsung Galaxy S2 is essentially, a phone and phones are there to make phone calls. 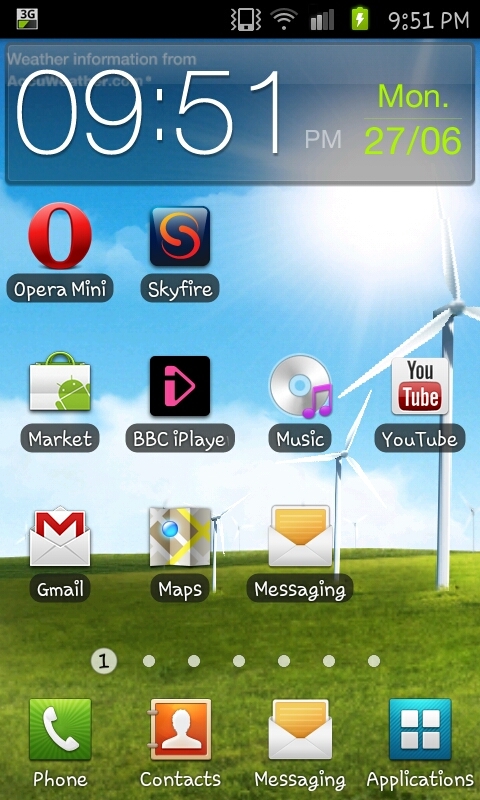 To start we press the "Phone" icon on the home screen. By default the phone icon will be shown on every home screen on the bottom left corner (if you've rooted your phone it may be possible that you've moved it). Pressing the phone icon opens a screen like the one to the left. From here you enter the phone number you wish to call. This is the "manual part" of the call (as opposed to calling a contact). 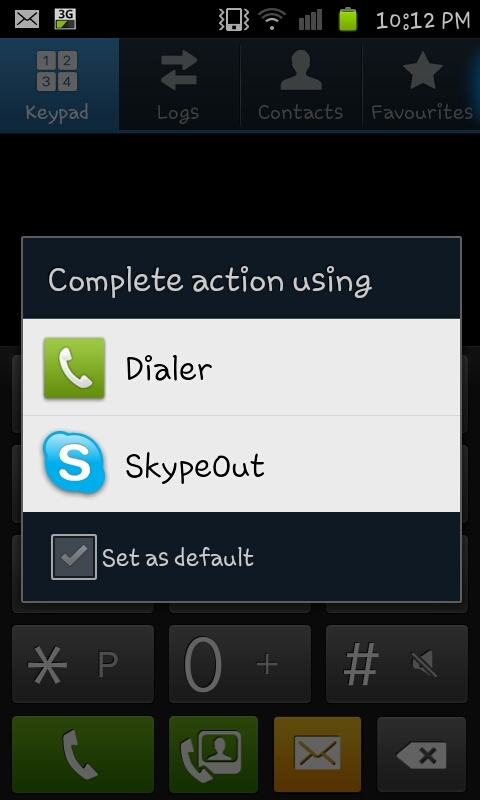 popping up allowing you to either use the dialer to make the call or "SkypeOut". If you've got free minutes or wish to just make a normal phone call you will usually use the "Dialer" option though if you've got a connection to wi-fi using SkyeOut could be a better option for you. Of course if your contact is stored on your phone you can click contacts and call through either the dialer contact tab or the normal contact app from the homescreen with the same option to call via Skype or the Dialer.